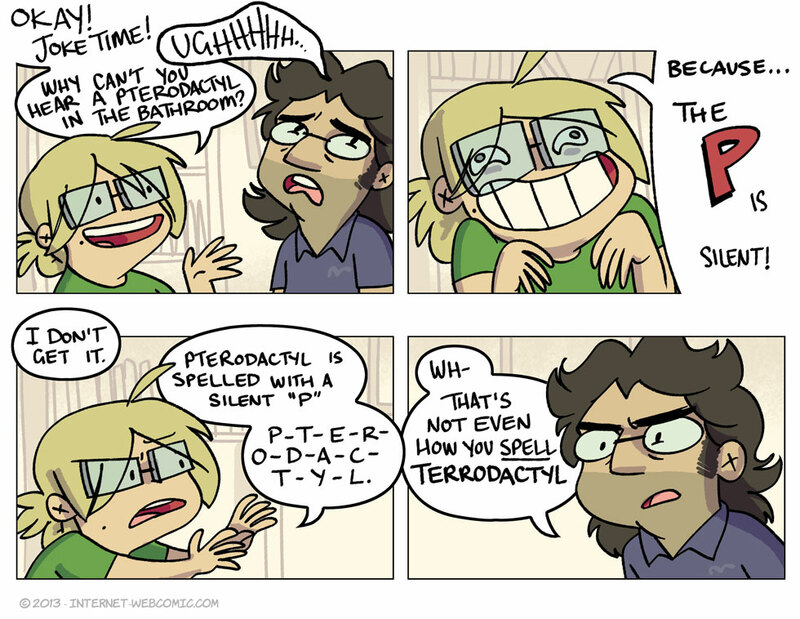 ….and then he tried to convince me that google was also spelling “terodactyl” wrong. I tried to tell this joke to my wife once. She was not terribly amused with the joke, but she was quite amused with me laughing at my own joke. Ah, you southerners and your quaint attempts at spelling. Kidding – American English does not borrow from other languages, it mugs them and then beats the words with a hammer afterwards to show who is the boss. So I guess they must pee at the back of the porcelain rather than aiming for deep water.